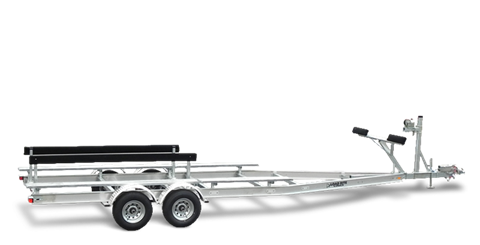 Load Rite introduces a range of aluminum I-beam framed trailers for popular catamaran boats. An exclusive, patented I-beam frame protects and conceals brake lines and wiring and eliminates over-the-frame U-bolts. Our bunk system provides exceptional security and support and easy loading and unloading. 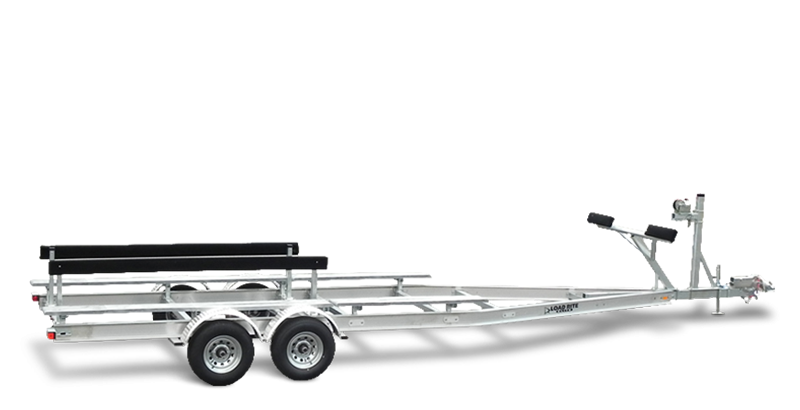 A long list of standard features including torsion axles, bead-balanced radial tires, LED lighting, Quick-Slide® support bunk covers and carpeted adjustable inner guides, along with a wide range of options make these models as close to custom as you can get, but at the reasonable price point of an adjustable trailer.